The cowry is the most widely and longest used currency in history. 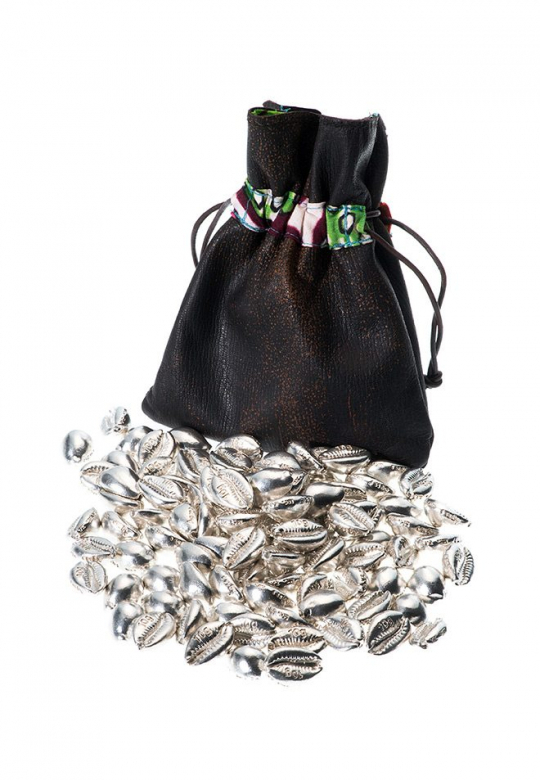 The first use of cowries as a medium of exchange dates back to 1200 BC. The cowry which is indigenous to the warm waters of the Indian and Pacific Oceans, travelled by land and by sea and gradually spread out its realm. It became the most commonly used means of payment of the trading nations of the Old World. The cowry was accepted in large parts of Asia, Africa, Oceania and in some scattered places in Europe. Chinese bronze objects, the oldest dating back to the 13th century B.C., inform us about this monetary usage. 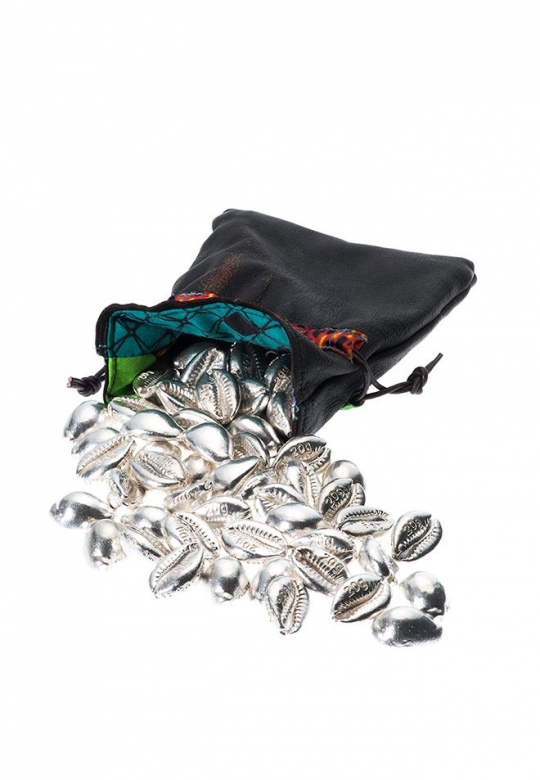 Cowry shells, especially Monetaria moneta, were used for centuries as currency in Africa. After the 1500s, however, it became even more common. In western Africa, shell money was usual legal tender up until the mid-19th century. 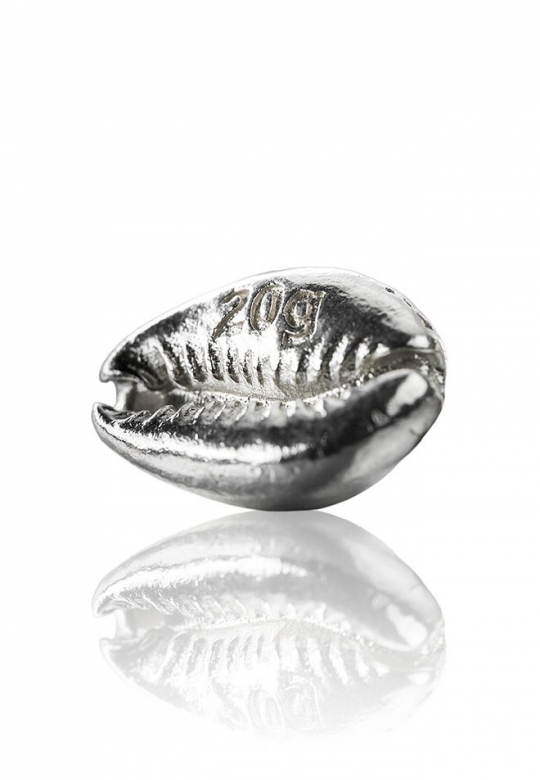 Certain varieties such as the cypraea moneta or cypraea annulus were favourite means of payments and in some cases, cypraea became huge competitors of metal currencies. All characteristics of money, i.e. durability, handiness or convenience, recognisability and divisibility are embodied in these small shells. In comparison with foodstuff or feathers which can fall prey to vermin, shells easily withstand frequent handling. They are small and easy to transport and their alluring form offer them a perfect protection against forgery. In addition, counting them was also not always a necessity as the shells almost all had the same shape and size and weighing often sufficed to determine the value of a payment. 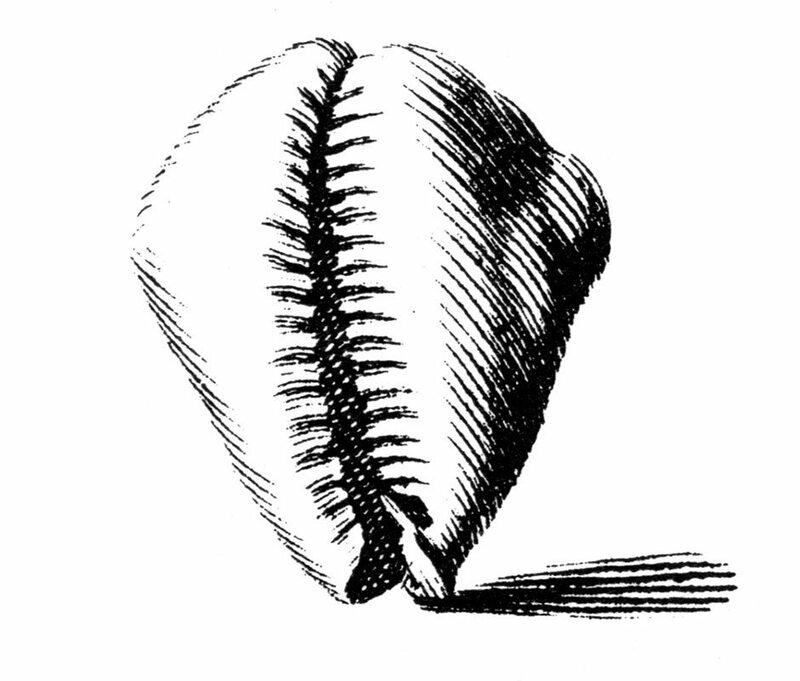 According to local preferences and agreements, cowry shells could also been packed or stringed to larger unities. On the Bengalese market e.g. 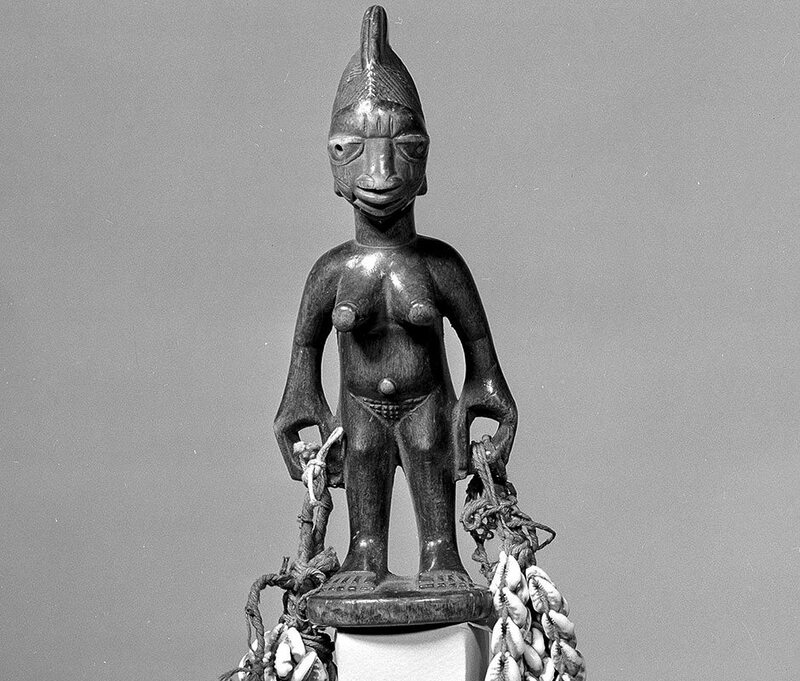 large payments were made in baskets full of cowries, each one containing approx. 12.000 shells. 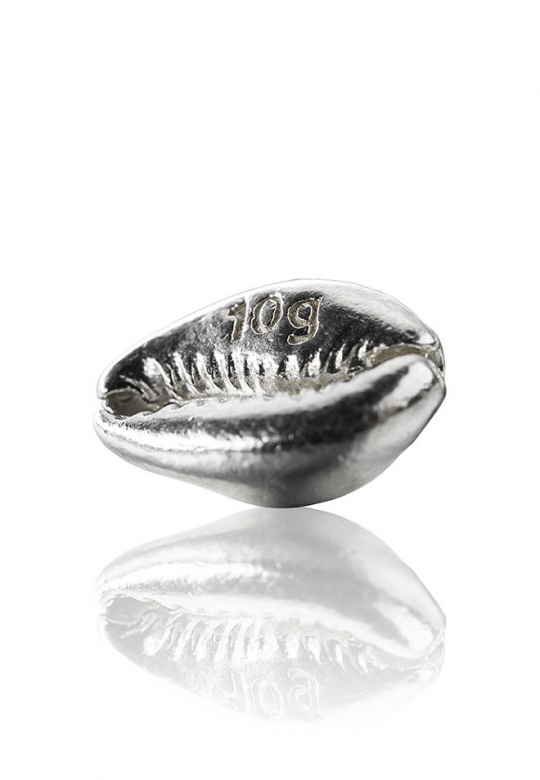 The return of the cowry shell shape manufactured in gold, silver and platinum by MetCon, marries the concept of the original currency with the modern world’s value attached to commodity metals, specifically gold as a vehicle for wealth and the ultimate international currency.